I love candles. I light them day and night. Even as I’m writing this, I have a beautifully scented vanilla candle burning on my desk. But what is even better than a pretty candle? A pretty candle with a jewelry surprise inside! Genius. Bella J. candles each have a dainty bauble inside: A charm necklace or bracelet. Simply let the candle burn for two to three hours, and a little bag emerges with a jewelry surprise inside. This adds a new level of fun and fancy to candles. These unique little beauties also make fabulously unique hostess gifts. 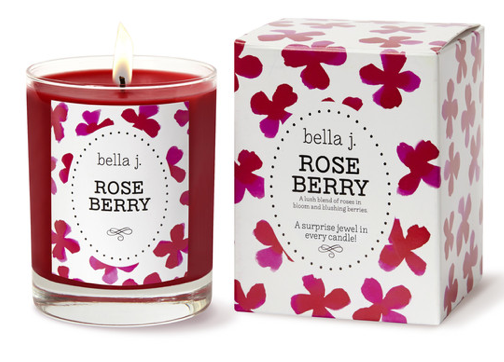 Bella J. claims that some of their candles even contain real diamonds. While finding one of those is the female version of finding Willie Wonka’s golden ticket, the thought is still enticing. Below is a sample of some of the whimsical and uplifting Bella J. candles, or you can see all of them here. Plus, Nordstrom also has it’s own exclusive Bella J. Candle. You can see it here.